Discover the world of Neopets! Neopets.com is one of the original, immersive online fantasy worlds. Players create and customize their very own Neopets and embark on endless adventures across the 18 different lands of Neopia while interacting with tons of characters and playing over 200 games for FREE! 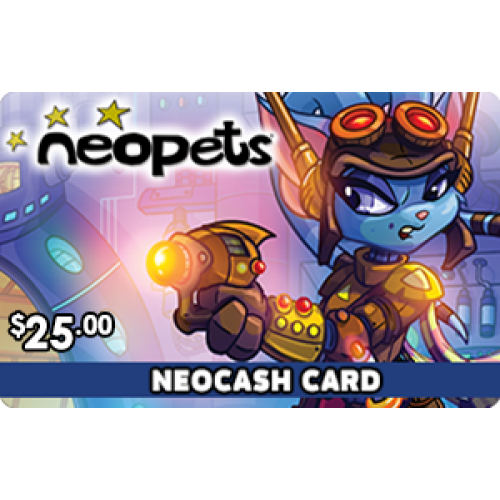 Sign-up for Neopets Premium Membership which offers exclusive benefits such as adopting a 5th Neopet, bonus Neopoints, premium forums, weekly surprises, and access to special features With a Neocash Card, you can boost your experience with even more adventures! 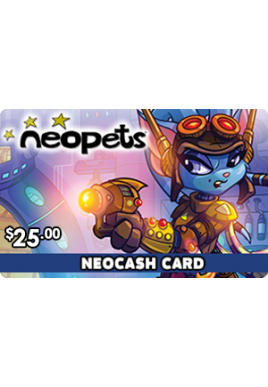 Receive exclusive bonus items every time you redeem a Neocash Card Join the adventure and discover the hidden secrets of Neopia today!